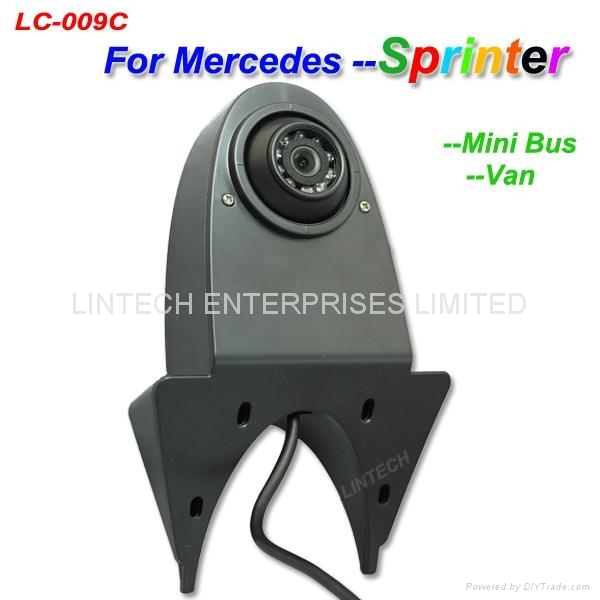 With the Model LC-009C brings LINTECH a Rear view camera on the market designed specifically for use on van / commercial vehicle.The problem: at rear doors can not be installed a normal Rear view camera . A conventional model doesn't allow to see every detail behind the van (caused by the concavity of the van rear end). With the special housing of the LC-009C the object lens overlap the concavity and you can see all details (entire back wall, bumper, hitch etc.) behind your van. For perfect night view image the housing is developed with 9 IR LED (automatic switch on), also with microphon(optional) - now you see and hear what happens behind the vehicle. The cam is featured with 1/4 Sharp CCD Sensor for rich and real color with visible 120° field of view. Robust and absolute weatherproof manufactured for all conditions - protection class IP68. The Model LC-009C is real professional Rear view camera for every day use, if you need high quality camera so you use this one.